We found 206 independent new or used book stores near 90025 with open storefronts. If you are interested in visiting one of these stores, we highly advise that you contact them first by e-mail or phone to verify store hours. And, be sure to say "Biblio says hello!" when you stop by! We are leading book seller since last 3 years. We sell used as well as new condition books. We are committed to providing each customer with the highest standard of customer service. Experienced bookseller since 1988. We have an open shop, 10:00 - 6:00 Mon-Sat., drop-ins are welcome. A NEW CHAPTER BOOKSTORE strives to provide the best customer satisfaction! Collectible fiction, nonfiction, and ephemera in a variety of subjects. All-Ways Fiction specializes in Mysteries, Science Fiction, Fantasy, Fiction, Modern First Editions and Signed First Editions. Reading books are like drinking a cup of coffee in the morning to energize you, creating your imagination, and building your knowledge.We collect a variety of books. It can be "Mein Grosses Kochbuch", "Tastes of Liberty," or " wolfgang puck makes it easy. "Thanks for visiting our bookstore! I'm an independent seller based in Los Angeles. Anglophile Books International Bookfinders; selling books on the internet since 1996. We began as an international booksearch service that locates out-of-print and difficult-to-find books. We are happy to search for any book in the following specialties: British women authors, Books for Anglophiles, Women\'s Studies/History, and Children\'s books. There are no fees or obligations to buy with our service. We now stock secondhand books on a variety of subjects, with special emphasis on our fields of interest. 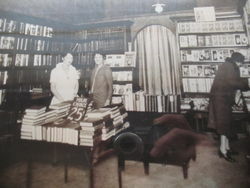 Established in 1983, Appleby Books is located in Los Angeles, California. We specialize in collectible and rare Children's Books in first edition with additional stock in out-of-print children's books. We also carry a variety of books in other subject areas. Arcana: Books on the Arts is an open shop located in Culver City, California. Their specialties are Photography, 20th Century Art, Architecture, Design, Fashion & Cinema; Modern Art Ephemera and Exhibition Catalogues; as well as African, Oceanic, PreColumbian and Ethnographic Arts. Arroyo Seco Books lists over 20,000 used and unusual books in all fields, including physics, art, philosophy, social science, literature, science fiction, etc. We also have a large stock of prints, antiquarian and modern. Most items are listed in about 100 catalogs titled by subject matter on this site. We purchase large and interesting private libraries. All stock is on line; open by appointment since 1998. Member of IOBA. Shipping set at fixed rates but large items may require additional postage. International shipments sent only by insured USPS mail. Sales within California may be subject to 9.5% California sales tax; sales tax may be required for shipments to other states that require sales tax for inbound shipments. Contact: Stephen Clauser, 626-372-3863. Playful, curious and productive. I offer books on DIY, popular culture, art, kids, toys, architecture, L.A. and more. Some are First Editions. Many are vintage. Some are like new. ART CONSULTING: SCANDINAVIA, Books on Art & Architecture since 1986 is a mail order company, which imports and distributes books mainly on art, architecture, design including textiles, ceramics, glass, interior design, furniture design etc. 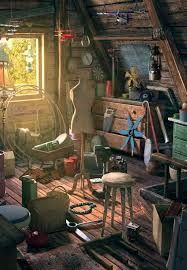 in addition to photography but also in a more limited fashion history, literature, archeology, anthropology, children's books, cook books and more. Small selection of vintage books in excellent condition! Selling book collection from home. These are mostly horror genre, most are signed; many are in hard dust jackets/book protectors, all in very good condition, some never read, lots are signed first editions. Thanks for visiting Bacobooks. Our goal is to bring more great books to more happy customers. We have ten of thousands of books in all categories. Americana Art & Photography, Biography & Memoir, Children's, Exploration & Travel, History, Illustrated, Law & Government, Literature, Military & War, Natural History, Philosophy, Pulps, Reference, Religion & Spirituality, Science & Medicine, Vintage Paperbacks. They're all ready to ship within 24 hours. If you want great book with great price, bacobooks is the place to shop for books. Happy Shopping!!!! Banbury Road is an independent bookseller, specializing in academic titles, particularly in the areas of Theology, Biblical Studies, History, Philosophy and Psychology. 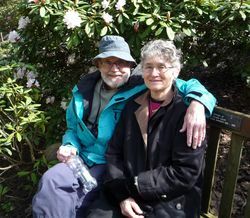 We have been in the business of connecting appreciative customers with fine used books since 1985. We emphasize accurate descriptions in order to build trust among our customers. I have been a book collector for over 30 years and I began selling my inventory last year, and still have hundreds yet to sell. My main interest is 20th century first editions, in very good plus condition. We specialize in the sale of antiquarian and collectible books, all of which are handled with tender loving care. We strive to make our customers happy by providing an honest description for each item. These books have been part of my family for generations. Originally from Devon, England, we are now based in Los Angels, California.If you have any questions regarding our items, the pricing listed, or details, please don't hesitate to contact us. Bill Leone, Bookseller is a family owned business specializing in Modern Literary First Editions. Although new to Biblio, I've been selling books and other items online since about 2003, primarily non-fiction such as illustrated, cinema, and photobooks. We sell Collectible signed, limited and 1st edition books. We are 100% Internet based only. If there is anything that are of interest to you, please feel free to email us for digital pictures of the book. Blue Heron Books sells exclusively on-line and specializes in non-fiction and collectible books which for the most part are used but in premium condition. 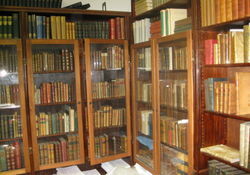 Bookbid Rare Books is a rare book dealer located in Beverly Hills, California. The family run company has sold modern literary first editions and children's books for over 20 years. Member of ABAA, ILAB. Bookfinger is located in Los Angeles, at The Brewery, one of the world's largest live/work artist's colonies. Situated in Lincoln Heights, adjacent to Chinatown, The Brewery comprises 21 buildings on 23 acres, including a former Pabst Blue Ribbon brewery and the historic Edison Building, one of Los Angeles' first power stations. We are open to the public Thursday-Friday-Saturday, noon to 7pm, and by appointment. Our main goal is to put a book (or record, etc) in someone's hands - to make them FEEL the experience of listening to music - to give them the satisfaction of reaching the last page in a book - or the pride of completing a DIY project all on their own, maybe even OUTSIDE and not stuck behind a computer. We want to bring back the joy of these things before technology vomited all over them. (Yes, we know that we're an ONLINE retailer, but storefronts are expensive and this is the time we live in, so it's about balance.) We get that downloading an album or book might be cheaper and more convenient. But honestly.. where's the fun in that? We specialize in quality out-of-print books. You\'ll find most titles to be in Fine to Very Good condition and all dust jackets covered in mylar wrappers. As an open shop we encourage you to call or write with any questions about our books. Email answered promptly! Our store is located in the City of Anaheim, at the Northeast corner of Euclid and Orangewood streets. We are a general used bookstore, with a large selection of classic literature, children's books, sci-fi, fantasy, cookbooks, meta-physics, mystery, suspense, contemporary fiction, romance, history, westerns and self-help . We also carry classic literature in NEW condition. Your inquiries are welcome. We specialize in books of California and the Gold Rush, History, baseball and other sports, Magic, Astrology and Occult, and Vintage Sheet Music. We have been in business for 33 years n Southern California. I am not a book selling business I am merely a collector of a good books to read. Also specializing in: I Specialize In The Books Read To Us As Children. Most Are Well Read But, Are Still In Great Shape For Their Their Age. Champ & Mabel Collectibles has been selling secondhand books online since 1998.We have a general collection of 20th and 21st century fiction and nonfiction with an emphasis on American history (focusing on California), music, and...dogs. In addition to our internet business, we operate a retail store specializing in rare books and entertainment memorabilia, including original movie posters, celebrity autographs, vintage sheet music and Baby Boomer toys and games. Please phone or email at any time with questions or special requests. 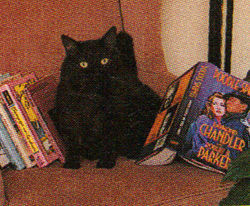 We are a home-based bookseller. We do not have a retail location. We believe in customer service. We will wrap your book with care and mail it promptly. We answer all of our e-mails in a timely manner. Private seller from a smoke free home. Recently inquired a large amount of books, from a bookstore that unfortunatley shut down unexpecitdly. I have quite the array of genres and some pretty amazing books that are jam packed with history.! take a look , or feel free to ask if I have a particular book in stock! In home via internet, personal and local Christian and retail outlets on cash basis. We sell primarily scholarly books in the humanities and social sciences. 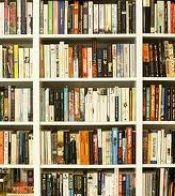 I am a private US citizen who inherited many books a few years ago; need to downsize from a large home so need to sell a few books. I am starting a film company and have bought books over the years and now are selling some and will be closing shop... I have some of my mother's book collection. She passed away at 103 and had an amazing life herself, was a war corespondent in WW II in Italy so was exposed to much. Established since 2001, we have sold to over a hundred thousand copies of international edition textbooks to numerous US Phd., grad and undergrad students. Majority of our text books are international edition. 98% of international edition text book content are identical to US edition. Minority of them may present different question orders, different unit, and no CD/access code. Except really new items, we normally inform buyers with the differences. Internationl edition text book is legal and is published from copyright owners in other countries like UK/India/Singapore. Using international edition text book is perfectly legal and you will see that a significant percentage of your classmates use it. Sometimes, we may ship US edition text book as a compliment to you depending on availability. So, don't be too surprised when receiving US edition instead of international edition. The most important thing before buying with us is to make sure you understand the terms of international edition text book. If you are still unsure about international edition, please email us. I am a old fashioned person that loves the feel, smell and history of books. I have acquired many older books over the years and would like to share them with other book lovers. I have older novels to teaching books from the 1920's and Bibles from the 1800's. I hope I have the book you have been looking for. Since its founding in 1963, Hennessey + Ingalls has grown to fill a unique niche in American retailing. 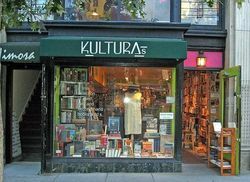 We are the largest art, architecture and design bookstore in the western United States, and probably the largest retail operation in the country dealing just with books on the visual arts. Founded by Reginald Hennessey as an outlet for rare and out-of-print architecture books and is still family-owned and managed by his son, Mark Hennessey. IDB Productions offers classic audio books and is committed to providing each customer with the highest standard of customer service. We specialize in First Editions in Fiction, Poetry, Science Fiction, Horror, Mystery, many Signed First Editions and Limited Editions. I have all kinds of books- new, used, common, rare, collectible. Looking for something special? Email me! Jero Books and Templet Co.
Modern Literature, Mysteries, and More! 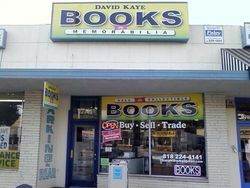 Established in 1981, The Book Shop, LLC is located in the heart of downtown Covina, about 20 miles east of Los Angeles. Our shop is open six days a week and houses an inventory of some 30,000 titles, ranging from the general second-hand to the truly antiquarian. For more information, visit our website at www.bookshopllc.com or call 1-800-507-READ. The I & I... Information and Imagination. This is a general rare book business dealing in all subjects and all languages with an emphasis on works printed before 1800. Also specializing in: Art French Lang. Humanities & Area Studies Latin American Studies Modern First Editions Philosophy & Critical Studies Photography & Fashion Spanish Lang. We are an nonlinear seller of high quality books including signed and First Editions. 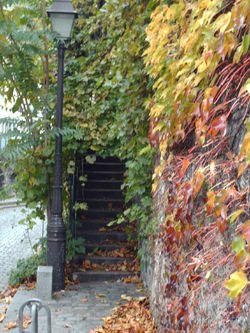 On-line with emphasis on architecture, art and design. Classics also included. Specializing in modern first editions, novels about Hollywood, African American literature, and the Countculture. Classical music, opera and music history and criticism. Art books and catalogues. I'm a collector and seller of fine books focused on works written and/or printed by William Morris, especially books from his famed Kelmscott Press. MTLCDEVELOPERS2018 We customize in Crypto-Currency Development with Online stores that range in various Categories . Nighttown Books specializes in academic and scholarly books in most subject areas but most particularly in literature and the arts and sciences. We are a mail order only operation. Open store Since 1987, online since 1996. Browsers Welcome. Open store Hours 10 to 7 Monday thru Saturday and 12 to 5 on Sunday. Pictures Available of any item - Just ask. Paradox Books specializes in vintage, out-of-print, and rare children's books. FaMarketplace is Fun and Affordable Marketplace where all can enjoy the "New" books every days! We have been selling books for more than a decade. Now in our 20th year of on-line bookselling, ReadInk offers an eclectic selection of quality books in a variety of subject areas. We are dedicated to the first-class treatment of every book we sell and its new owner (our customer). All orders and inquiries receive our prompt, personal attention. Our grading of a book's condition is conservative ("Fine" is our highest grade, and used sparingly); all significant flaws are described, but we will be happy to provide additional information and/or a scanned image upon request. Your book will be shipped promptly, well-wrapped and securely packaged; the dust jacket, if any, will be enclosed in a new Brodart cover. Red Star is the place to come for Rare, Collectable and hard to find books as well as foriegn language, Scripts and more! Books of all kinds. Fast shipping! Hello and Welcome to Ritz Martin Books!At Ritz Martin Books, we believe in, and are committed to, providing our customers, with the highest standard of service that we know how to give. We've been selling books online for over 10 years, so you can count on us to grade them fairly; pack them expertly; and ship them promptly to you with USPS Tracking provided. We add books every day, so please visit us often at Ritz Martin Books. "Your Browsers Are Always Welcome At Ritz Martin Books"
Your purchase helps a Voracious reading middle aged former college girl buy more books to read, I spend a bit of time researching, writing, taking picture to give you enough info to buy a book with confidence ... Shipping Media mail, since the mail people actually deliver directly everywhere in the Us, it comes from the Los Angeles Area at whatever PO is closest to my errands or life that day I carefully Drop kick wrap your books in interesting wrappings make them impossible to loose in the mail stream, hop on the Vespa and visit the PO, put it into the mail delivery system. MY LATE FATHER LEFT ME HIS WWII COLLECTIONS SERIES MAGAZINES AND PANZER COLLECTION. Samuel Lasenby Bookseller part of Jacob-Schram Antiques. ASA course complete. Member AAPA. WELCOME to SCENE OF THE CRIME, your online source for Rare and Elusive Books, Collectibles and Ephemera..� WE SPECIALIZE in Mystery, Detection, and Related Genres complemented by a wonderful collection on Travel, Cookery, Needlework, and Horseracing. As EXPECTED, all items are guaranteed to be as described and signatures authentic. FINE is our highest grade. ALL Dust jackets are covered in archival protective wraps. YOUR inquiries are always welcome, just ring or write. We offer over 150,000 books in all subject areas. Heavy concentration in the following subject areas: Academic/university press, Antiquarian/Rare and general non-fiction. We are a virtual book store specilaizing in Signed Modern First editions in Mystery, Thriller, Science Fiction and Fantasy. We carry a limited quanity of Non-fiction and Soft Cover editions. The Friends Group supports the Santa Monica Public Library and has a bookstore for donated books in the main library branch. we have more than 2years selling experience online. we have selling to worldwide students and provide excellent customer services. We are a brick and mortar bookshop with some of our inventory online. The Book Frog is an independent bookstore--though currently cyber only-- with a hand-chosen, carefully curated selection of the classic and the popular, the old and the new. We read books...we live books...we want to help you find the books you need. Declare your indepence by shopping indie. Real books for real people! Hello!I am just a guy who loves books and wanted to collect them, specifically anything older than me! I love the beauty of antique book cover design, the details of vintage illustration, and the thrill of the search for treasures found in buying old books, then the treasures inside of them. Soon enough, my collection was an inventory, so I offer my treasure to you. We at Three Geese In Flight Books have specialized in Celtic studies and the Arthurian legend with an open shop and mail order presence for well over 30 years. I have a lot of different books, but most are specialty books. They were pasted down in my family, so most are old. All Books are in excellent condition. 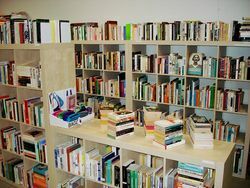 An internet bookseller with an inventory of over 15,000 books in a variety of categories, including collectible first editions, classics, world fiction, history, biography, science fiction, psychology, sociology, economics, adolescent literature, religion, self-help and inspirational, true crime, westerns, multicultural literature, women's studies, humor, poetry, theatre, fantasy, and literary criticism. Specialization in typical nonfiction and fiction books. WAGS WARESSmall seller of vintage books and books of unique subject matter. Waverley Books is a mail order operation.We conduct business from our home. Lists of books for sale are issued regularly during the year. Customers are welcome by appointment to view the inventory. 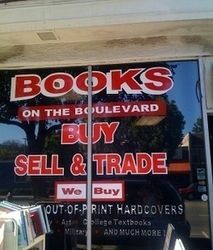 We are in business since 2009 with huge inventory of out of print books. We operate a retail shop in "Old Town" Pasadena open normal business hours Tuesday through Saturday. We are a family-owned online store specializing in non-fiction books although we do carry a limited inventory of novels and textbooks. We will do our best to offer the most competitive pricing with the quickest delivery time. Thanks for checking us out.